Jack Harrison of Berkeley is running for Attorney General. He has been endorsed by the Peace and Freedom Party State Central Committee, and party activists throughout the state gathered signatures in lieu for him so that he appeared on the June primary ballot without paying any filing fee. His statement for the June Voter Information Guide that went to all registered voters in California was "I will work to abolish the death penalty, repeal '3 strikes,' legalize marijuana, and prosecute corporate criminals." 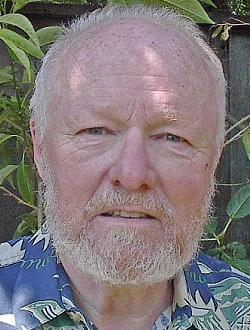 Jack Harrison is an attorney and a Commissioner on the Berkeley Rent Stabilization Board. He works in criminal, Social Security, and Workers' Compensation law. He has been a member of the California Bar for 25 years. Jack has been legal counsel and a rehabilitation counselor at Options Recovery Services in Berkeley and also was on their Board of Directors. Options is a community organization that offers a solution to drug and alcohol addiction, crime and poverty through a comprehensive relationship with the courts and community. Jack has been a Board Member and a legal and rehabilitation counselor at CURA Inc., a substance recovery service in the San Francisco East Bay. He was a business agent for Local 2850 of UNITE HERE, a union that represents more than 450,000 active members and more than 400,000 retirees throughout North America. Decriminalize marijuana; end minimum mandatory sentencing. Prosecute corporate thieves; retrieve stolen funds.